This recently discovered treasure is essential, delightful, and historically significant listening. 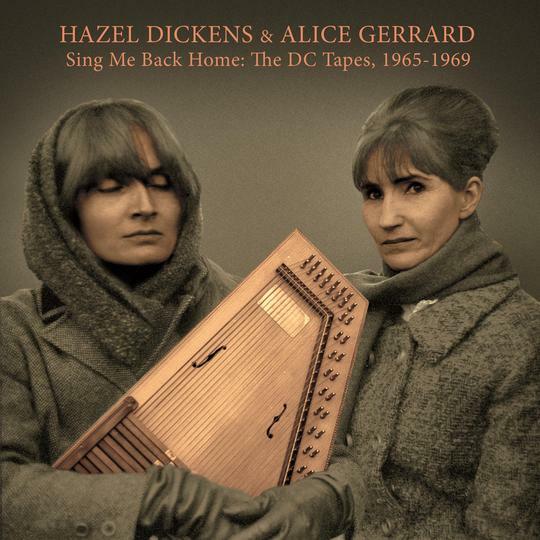 The “warts and all” description used by Alice Gerrard in relation to these newly unearthed tapes only begins to define the unpolished nature of the bluegrass/back country/folk home recordings from her work with Hazel Dickens. The mono sound is barely above cassette — actually, reel-to-reel quality. There are extraneous noises like kids muttering, turning pages and throat-clearing bleeding into performances. It’s clear no one other than close associates was supposed to hear them. But those aren’t detriments. On the contrary, hearing these now-legendary women sing and play in this fly-on-the-wall environment, jubilantly working through a batch of mostly covers with no sense of commercial intent, is a joyous experience few fans ever expected to have available. From Merle Haggard’s “Sing Me Back Home,” where the women interweave their voices above guitar and autoharp, to an exuberant take on the Everly Brothers’ “Bye Bye Love,” and the far more obscure Jim & Jesse composition “I’ll Wash Your Love From My Heart,” these songs span country, gospel, folk, blues, Appalachian and bluegrass, often effortlessly combining genres. The intricate vocal call and response they exhibit on the traditional church hymn “This Little Light Of Mine” is a master class in how two voices can chase and lead each other, creating sparks few other duos match. Despite the upbeat presentation, most tunes concern gloomier matters like loneliness/depression (“No One To Welcome Me Home”), isolation (“Are You All Alone”), travelling (“Bound To Ride”) and infidelity (“Why Not Confess”), common subjects in bluegrass. Call these rehearsals, but the 19 tracks are organic blueprints for music that, when officially released, influenced everyone from Emmylou Harris to, well, name your favorite contemporary bluegrass outfit. Dickens, who passed in 2011, and Gerrard recorded just a few albums together, which makes this recently discovered treasure essential, delightful, and historically significant listening.